Dr. Jennifer Oliveira (formerly Akagi) was born and raised in northeastern Ohio. After receiving her bachelor’s degree from Ohio University, she then went on to The Ohio State University College of Dentistry & earned her Doctorate of Dental Surgery in 2006. She is a California Dental Board licensed general dentist, a member of the American Dental Association, California Dental Association, and Los Angeles Dental Society. She has been providing the highest standard of dental care in private practice serving the communities in Ohio as well as southern California for the past 10 years. 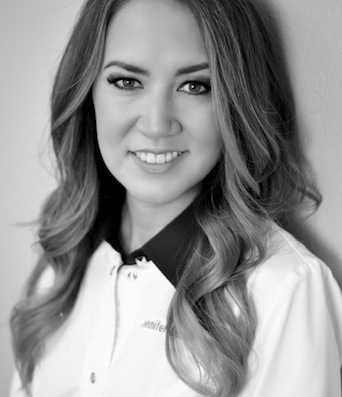 Her lifelong passion has been to offer a dental practice where the patients come to grow as part of the family! Continuing education is important to Dr. Oliveira and her staff. The field of dentistry is constantly changing with new treatment techniques, new materials, and new technology. Dr. Oliveira & her staff stay current with their education in an effort to provide you with the latest in treatment options and patient comfort. The staff is fun, friendly, and highly skilled and the office environment is professional yet warm and relaxed. Treatment rooms are modern, calm, and relaxing. Whether you need a preventative cleaning, treatment for a broken tooth or cavity, or are interested in a dental implant, Dr. Oliveira has you covered. She also offers teeth whitening and cosmetic dentistry procedures to enhance your smile including porcelain veneers & Invisalign. Outside of the dental office, Dr. Oliveira enjoys spending time with family. She and her husband are both proud graduates of The Ohio State and they are huge Buckeye football fans! They are happy to visit family, which spans from Ohio to Hawaii, and even Brazil. In California, they love finding food trucks, sipping wine, and hiking in the canyons. Dr. Oliveira always enjoys learning about new places, interests, and ideas from all of her patients who come in and share their stories with her. And of course, as a dog lover, Dr. Oliveira also has an immense love for her shepherd-mix, Bailey.